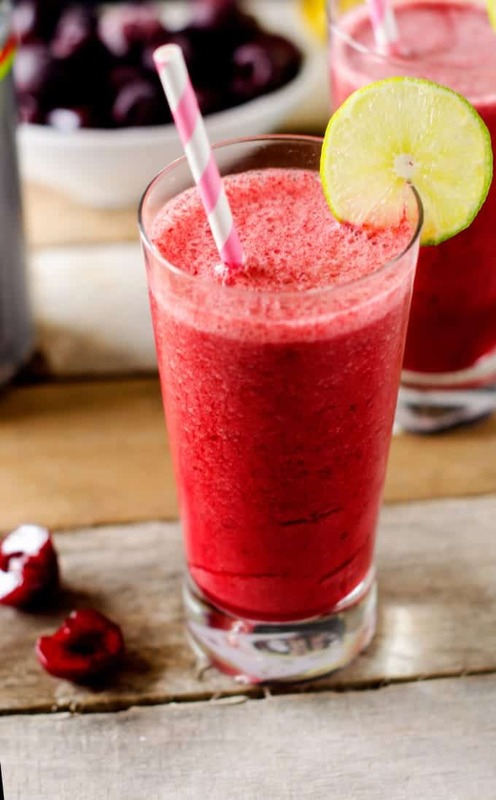 This Cherry Smoothie is a healthy way to fuel your workout that won’t drag you down. 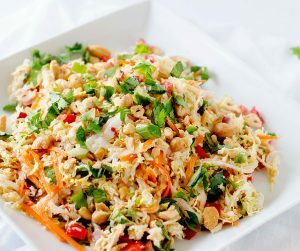 It is so delicious you will feel like you are cheating. But rest assured, this is a smoothie you can feel good about. This Post is brought to you by Isopure. All opinions are my own. A few weeks ago, I shared with you that I am working hard to get back in a fitness routine. It is hard for me because I always seem to be overwhelmed by my to-do list. Most often, I end up feeling guilty for taking the “me time” to work out. Despite this, I’ve made a commitment to myself to get into good habits. Of course, given that it’s been a while since I’ve been in a consistent workout routine, one thing I was concerned about is being so sore I was miserable. I have a bad habit of overdoing it, and sore muscles and toddler chasing don’t go so well together. Luckily, I’ve found a Secret Weapon that is helping out with that. 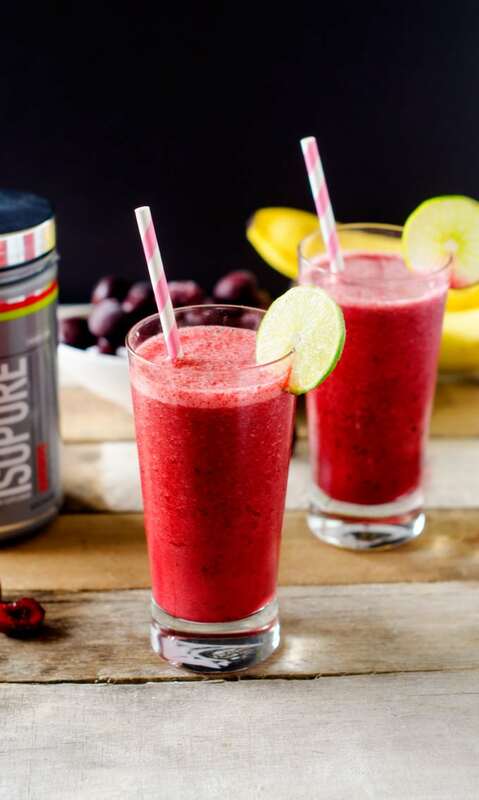 I’ve been taking Isopure, which is an Amino Acid supplement that helps your body recover from exertion. In addition to amino acids, it is packed with other ingredients like Vitamin C and Tart Cherries. These ingredients work together to give your body what it needs so that you can continue to work out intensely. 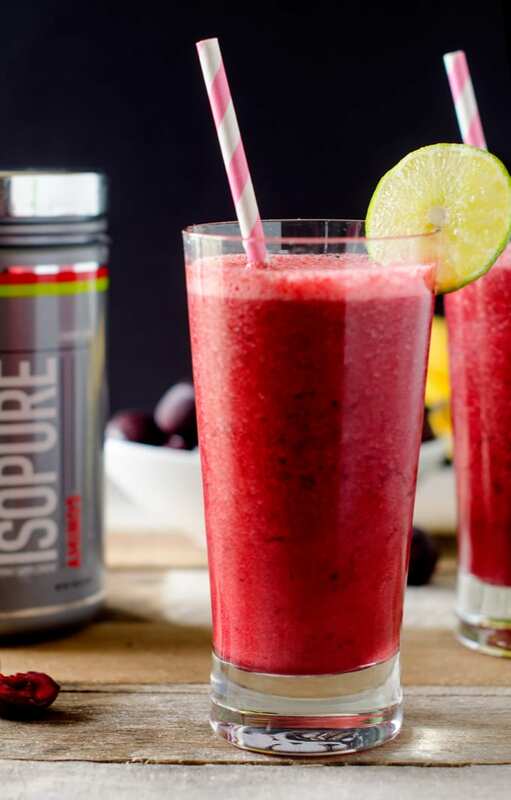 When I first talked about it, I promised that I would be back with my favorite recipe using Isopure. 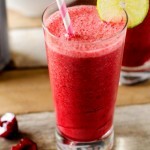 While the supplement tastes good just stirred into water, this Cherry Lime Smoothie takes things to a whole new level. Without a doubt, it is in my top three smoothies ever. Even hubby – who isn’t the biggest fan of fruity smoothies – thinks it is incredible. 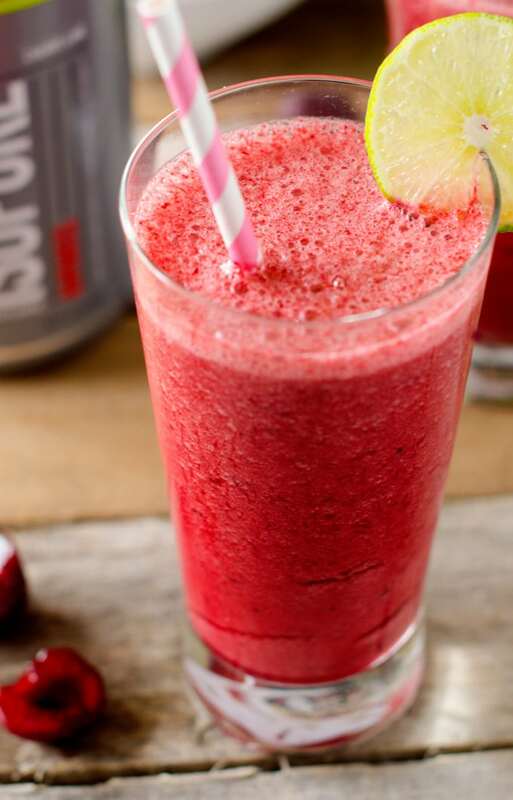 This Cherry Smoothie is a healthy way to fuel your workout that won't drag you down. 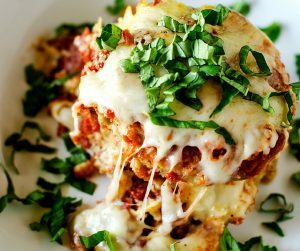 It is so delicious you will feel like you are cheating. But rest assured, this is a smoothie you can feel good about. I’ve always been a huge fan of cherry and lime together. This sounds perfect.